Forums General Discussion Why is there only one multiclass?? Why is there only one multiclass?? 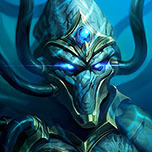 i've played hots for about 2 years now and seen alot of new hero's come, why is it that blizzard dont put atleast one more multiclass into game?? Multiclass in the way they implemented it with Varian gave them a headache in regards to balancing and matchmaking rules in QM, so they did not add more of it. 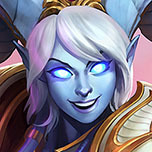 Maybe they will find a satisfying way to pull it off in the future and add more/rework heroes to fit that concept, but for now it is pretty much dead. Probably because multi-class heroes are actually really difficult to balance and screw a bit with the idea of drafting. Imagine an enemy team consisting of 5 multi-class-heroes. You have no way of knowing what your enemy actually drafted in that case, because they decide that ingame instead. The idea behind multi-class is a bit messy. I'm sure theyre going to implement more of them soonTM though. Just dont expect them to rapidly deploy more of those. there are some good points there. but issent it, unfair to just have one multiclass in game? I really like the idea of having some heroes that can build into one or another role. 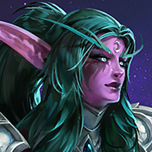 I think that's the route they should have taken with Tyrande. 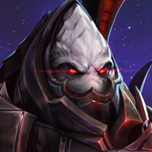 I'd say Tassadar's current kit is more Support/Specialist. It's more than just a balance issue. It's also an issue for the qm matchmaker. If it considers varian an assassin and is matched against a team without a tank he can just go tank and put the other team at a major disadvantage. If it treats him as a tank (which is what it does now)and he goes assassin it puts his team at a disadvantage if they don't have another tank. 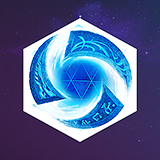 It does not take much inspection to come to realize that Blizzard cannot balance multiclass very well; simply take a gander at how heroes are being balanced/reworked and you get an idea. Look how long it took them get Varian to get where he is now which is not something to really brag about in the greater scheme of things. What is worse is that the developers are seemingly frightened to experiment anymore what with their obsession with Esports what with their crusade against specialists as well as what appears to be the beginning of homogenizing maps with Garden of Terror. Or the developers are preparing for something bug, such as turning some of the current specialists into multiclass...though I think the chances of myself being struck by lightening four times in quick succession then waking up in a hospital with an Alexstrasza look-alike tending me wearing an inappropriate nurse outfit is more likely to happen than. what is unfair? Anyone can play him or not as they choose. 3) if something isnt specifically called “multiclass” than heroes can fall to the wayside and be neglected for what they can do. 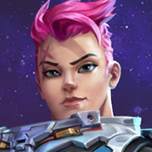 Zarya and tyrael and solid examples of more hybridized characters whose personal durability, damage and ally contributions vary a lot with talents. Multiclass requires strong talents and a weak base kit. Blizzard's current design philosophy preferes strong base kit with weaker talents. -Talent Homogenization. 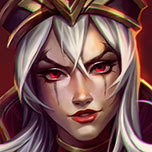 Talents that do the same thing, lvl 1 quest, level 4 damage, level 7 utility, level 13 defensive, ect...you will see themes where the talents while affecting different abilities, are similar, or even better, talents that all affect 1 ability in slightly different ways. -3 talents a row. 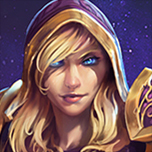 In alpha/beta, many heroes had 4-5 talents a tier, now only 2 heroes(ETC/Medivh) have 5 talents, and that is on level 20 which does not exactly count. Many heroes have 3, rarely 4 talents in a row. 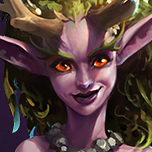 More talents allow for more playstyles which is what multiclassing heavily relies on. 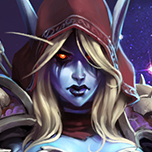 Talent Traps and Mistakes Blizzard hates 'sub-optimal' builds. A good player with a strong talent build is FAR stronger then a weak player picking talents all over the place. Blizzard hates when bad and good players are very noticeable and tries to close that distance. They try to make 'every talent work no matter the build'. We see constant removals of bad talents with no attempt to rebalance them. Blizzard has less control on how you play This is a big one, sometimes players can find strange hybrid builds and create unexpected playstyles and power spikes. 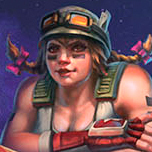 Blizzard does not encourage breaking the mold, they want you to play what they think is 'fun'. 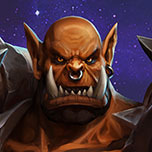 Blizzard is SLOW at balancing Blizzard is notoriously slow with balance patches. 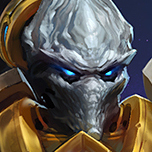 Multiclassing requires lots of tweaks so all builds are viable which is something blizzard is not known for, which is why we constantly see heroes go 6+ months or without any MINOR changes. Varian is obviously a case where he averages about 1 patch every 3 months, and thats considered a HIGH rate for blizzard! Someone else finally says it. This is my big problem with the concept. For this reason I hope they don't add anymore. Because it's a miserable failure. The only game mode that matters is HL. Which is solo queue DRAFT. A multiclass Hero is only useful in a blind setup environment, where you do not know before the match what the Heroes are for your team or the enemy. In a Draft setup, you choose X Hero for X reason. You don't decide what you want to do 10 minutes into the match. You decide IN THE DRAFT. 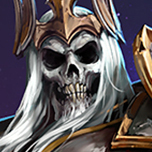 Therefore, there is no reason to draft a multiclass when you could instead choose a better Hero for X role that you are intending to play due to the draft. Period. The reason I mention above that only HL matters, is that is why multiclass is a failure in the game. Draft modes don't need them. Multiclass could be "neat" for certain characters, if done properly. For instance, we could have a Sorc (From D2). Upon reaching a certain level (1, 4, 7 or 10, etc), we could specialize into certain elements. 1. Fire Option: Apply DoT on hit. 1. Fire Option: Convert Firebolt into Fireball. Fireball deal more damage, apply DoT and deal AoE damage. 2. Lightning Option: Release additional pulses, which also pierce enemies. 3. Cold Option: Convert Frostbolt into Glacial Spike. 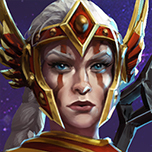 Glacial Spike freezes non-Heroic enemies (for X seconds) and slow Heroic enemies for Y seconds. Like Fireball, it has AoE. Apply this to W,E and even R. Fundamentally chance how your skill behave through Talents. Cold Sorc for an Assassin with a lot of slowing effects (weaker when it comes to damage, but very useful for your team). Naturally, you can mix a bunch of different elements together too. Because in Blizzard's eyes the concept of Multiclass has failed and they don't want to keep adding heroes under that banner without figuring out what they're going to do with Varian.